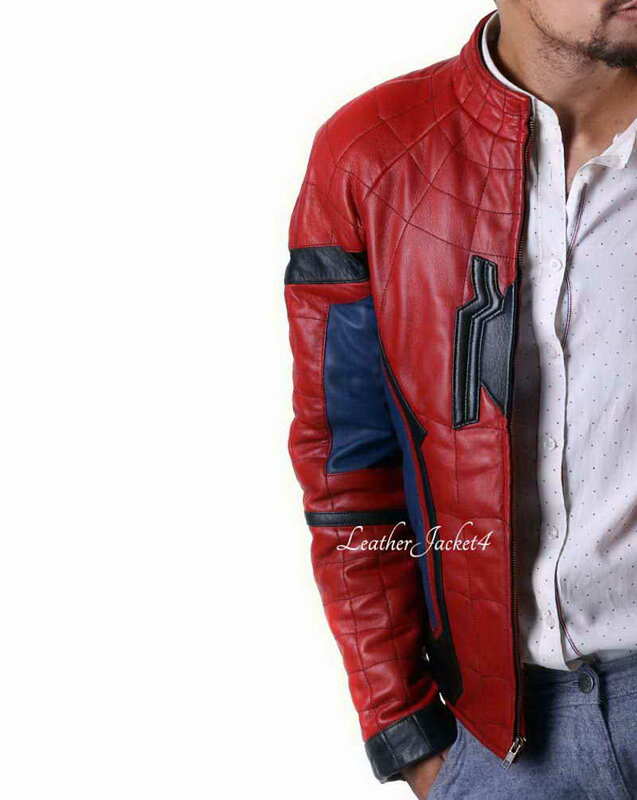 This jacket is inspired by the famous Spiderman Homecoming 2017 movie, where dashing Peter Parker appeared once again with his endearing personality. The Spiderman character is played superbly by Tom Holland as Peter Parker. Spiderman is one of the famous characters of the Marvel Comic which gave us many costume party ideas. This high budget box office super hit movie has gained the love of all comic lovers who are always ready to boost the mood of a costume party. 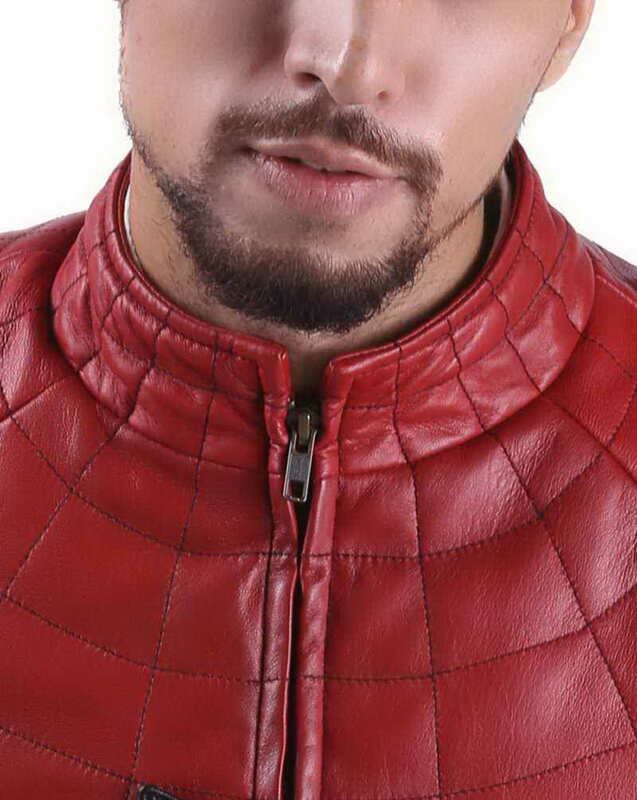 Once again, we have well familiar red costume jacket of Spider Man to wear as Halloween costume this winter or Halloween. 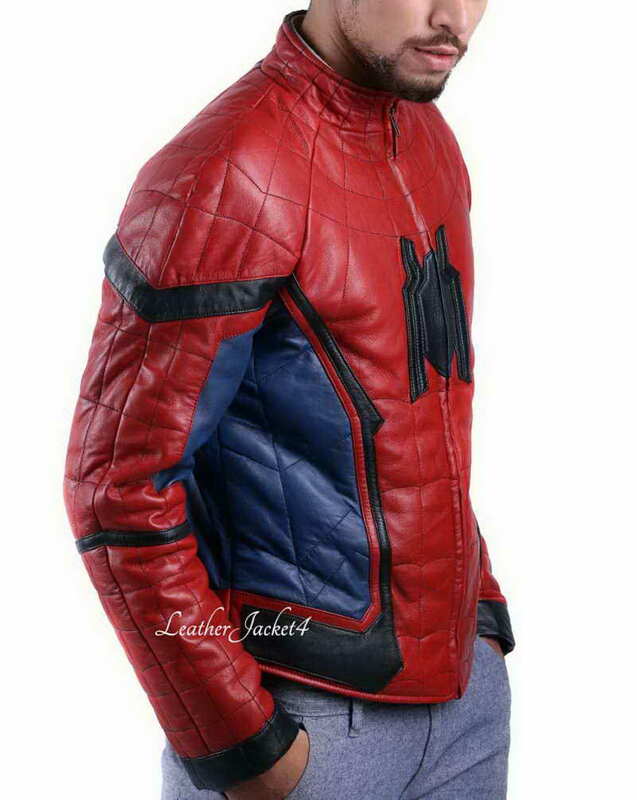 Spider Man leather jacket is featured web-like designs and the Spiderman logo is beautifully incorporated with the help of quilting details on chest. 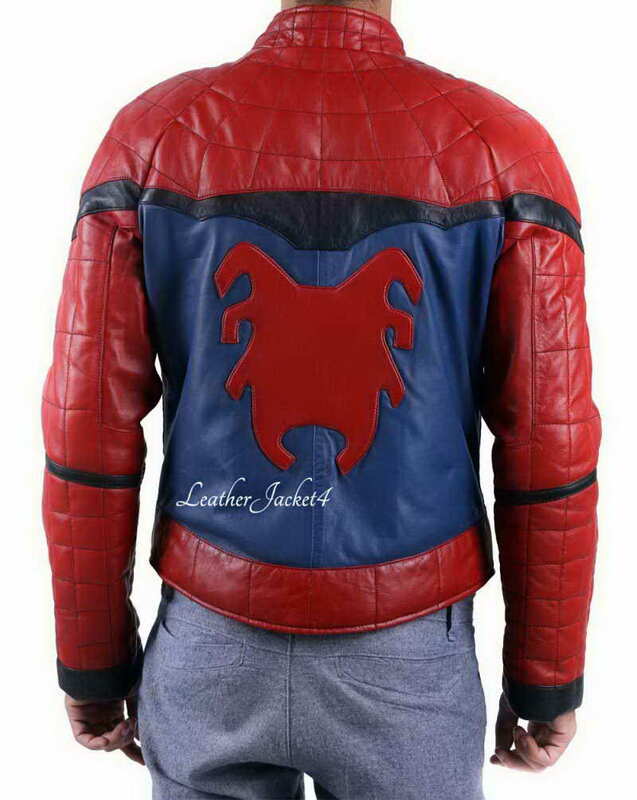 You can custom made this replica jacket of Spiderman with any size you want. 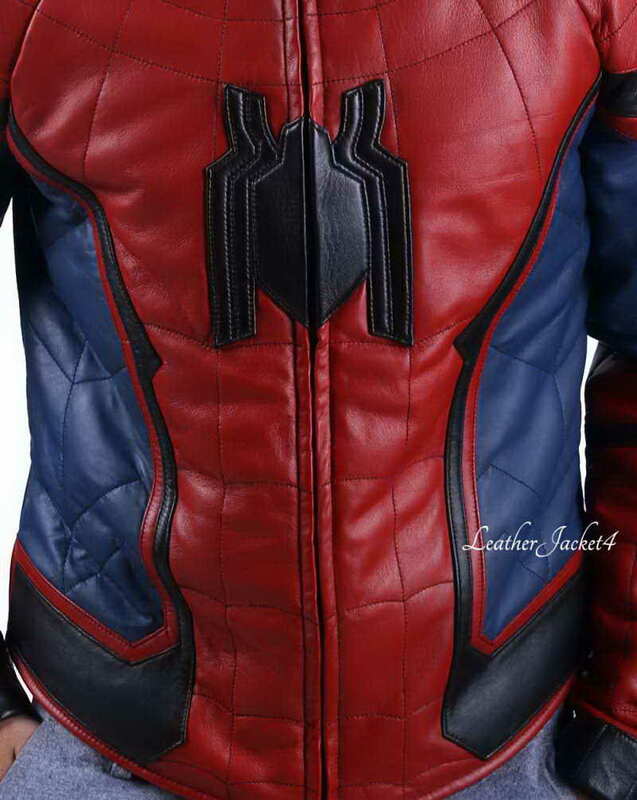 Spiderman Homecoming Jacket has blue color sides outlined by black stripes along the edges of designs. 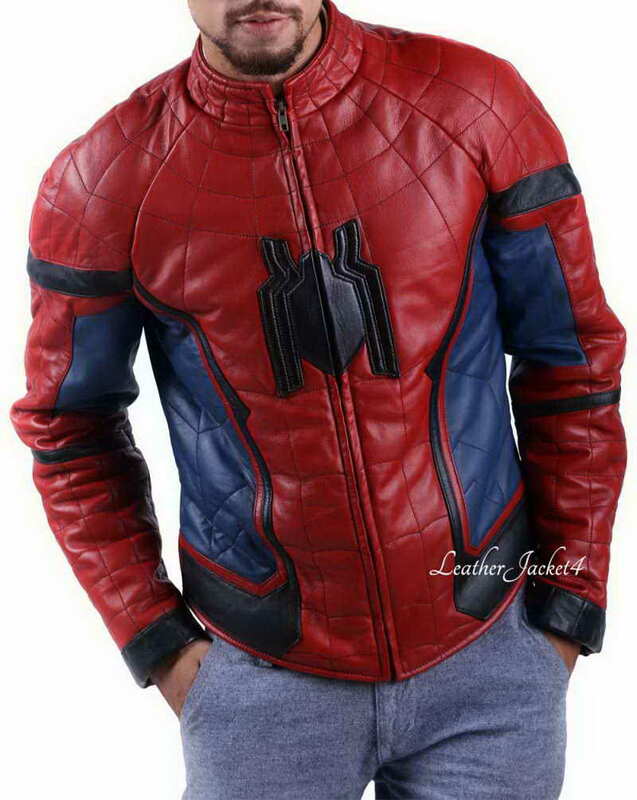 Your Halloween jacket is fully functional with two internal pockets and YKK center zipper opener so you can quickly transform from the guise of Spiderman into the real-life Peter Parker. 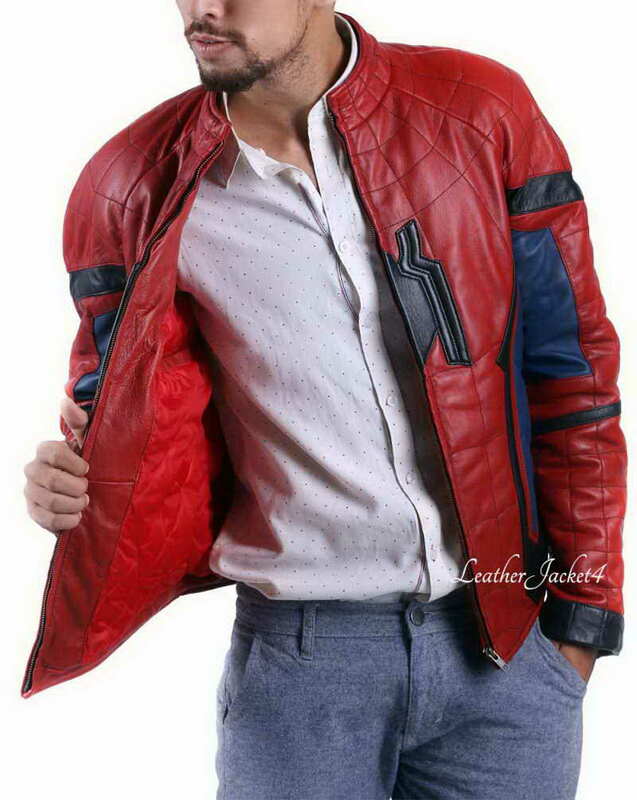 Made with real lamb leather with inner soft viscous lining make sure the comfort and the long lasting quality of the jacket. 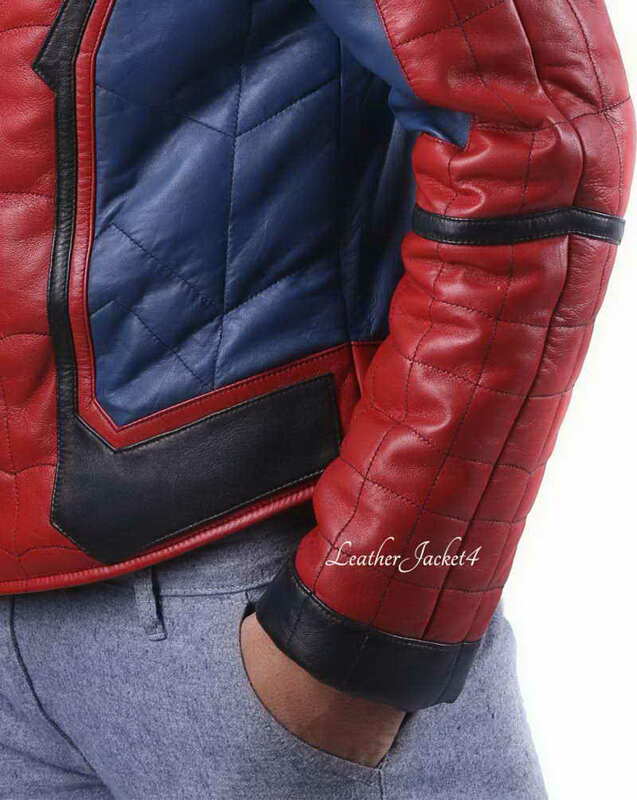 My love for spiderman Jacket is half fulfilled after II've bought this jacket. It fits like glove, I can try this on the upcoming Halloween party. Thanks in advance. You definitely recommend to other friends.